Robert Morton is based both at Warwick and Coventry offices, and is primarily involved in the management of Rural Estates and Property for Private, Institutional and Charity Landowners. He comes from a family farming background, and has excellent local knowledge and expertise in all aspects of Land Agency, Agriculture and Valuation. Robert is a member and previous Chairman of Warwickshire CLA (Country Land and Business Association), with interests deeply rooted in the Midland counties, and his hobbies and other interests include fly fishing, tennis, golf and field sports. He is married to Ann, and they have two boys. Paul qualified as a Chartered Surveyor in 1984 and was elected a Fellow of the RICS in 1996 and a RICS Registered Valuer. Having spent most of his working life in Warwickshire, Worcestershire and the adjacent counties, Paul has a sound knowledge of the area and undertakes surveys and valuations of residential, commercial and agricultural properties for various purposes. Paul is a General Practice Surveyor, also dealing with the sales and lettings of a wide range of properties by private treaty, tender and auction. Married with two boys, Paul enjoys most country sports and in particular Point to Pointing and National Hunt Racing. Geoff is a Partner at Godfrey-Payton based in Warwick and operates in Warwickshire and adjoining counties. He specialises in Estate Management, Agricultural Consultancy, Rural Valuation, Agricultural Finance and Telecoms/Utilities matters. He is a member of the Royal Institution of Chartered Surveyors and a Registered Valuer as well as a Fellow of the Central Association of Agricultural Valuers being actively involved in the local Midlands counties division. Geoff is also an active Partner in the local family farming business thereby having hands on agricultural experience on which to draw in his professional roles. In his spare time Geoff enjoys family life with his wife (also a Surveyor) and two sons, takes a keen interest in Winston Churchill and occasionally finds time for the odd days shooting. James is an RICS Registered Valuer and Partner in charge at the Market Harborough office with a professional focus on the Rural/Residential sector. He has a particular interest in Building Surveys and Valuations for all sorts of purposes throughout most of the East Midlands and has vast experience in this having assisted hundreds of clients over the years. Further specialisms include; Rural Planning and Development, Expert Witness and Dispute Resolution, Compulsory Purchase and Compensation, and Estate Administration. Away from the office James is a Parish Councillor and Trustee of a local charity. Married with two children, he also has a strong interest in the countryside and country sports together with motor racing and a wide range of other hobbies/pursuits. As a Partner based in the firm’s Coventry office, Philip has more than 20 years’ experience in estate management, strategic development of rural and urban-fringe land, and associated rural professional activity. Born and brought up on the Leicestershire / Northamptonshire border, the majority of Philip’s professional career has been spent working for both local and national clients throughout the East and West Midlands. Philip moved to Godfrey Payton in 2017 having previously been a Partner in two national firms of rural surveyors, which included both a Head of Office, and a national Head of Rural role with a focus on rural professional and estate management. Working alongside private, institutional, trustee and charity-based clients on a broad range of property-types and mixed portfolios, Philip has considerable experience in maximising returns through a variety of methods, including residential and commercial development schemes, rural diversification and estate restructuring. Philip enjoys an active outdoor life whether through farming, equestrian activity or country sports. He is an avid Leicester Tigers fan, despite the East Midlands rivalry with the Coventry-based Wasps! Tim joined Godfrey-Payton’s Coventry office in March 1992 and qualified as a Chartered Surveyor later that year. Tim specialises in commercial property management, mainly for Charity clients, including professional work such as lease renewals and rent reviews but also dealing with the acquisition of commercial property investments as well as sales and lettings. Tim also manages the residential property at Stoneleigh Abbey. Tim’s interests are mainly sport related including taking part in triathlons and coaching his local Junior Rugby side. Tim is also an Assistant Scout Leader. Robert joined Godfrey Payton in March 2015, having worked for several estate agents in the area over the last 20 years. Robert is based in the Warwick office where his focus is mainly on Residential Property including Sales, Lettings and Property Management. He is a Member of the Association of Residential Letting Agents. After graduating in Rural Land Management from Harper Adams, Liza switched career paths and enjoyed a successful ten years in rural lifestyle journalism and PR. With a yearning to return to her roots, Liza firstly worked in the Cotswolds on the Overbury Estate, and with Carver Knowles in Gloucestershire as part of their rural consultancy team. Liza joined Godfrey-Payton in 2014 and is involved in the management of rural Estates for private and charity landlord clients, plus private client work including general landlord and tenant advice, agency, rural and strategic planning. Liza is a committee member of the Central region’s Agricultural Law Association and Hereford and Worcester CAAV and a School Governor. Liza enjoys a busy family life, is a published author and enjoys hill running and tennis. 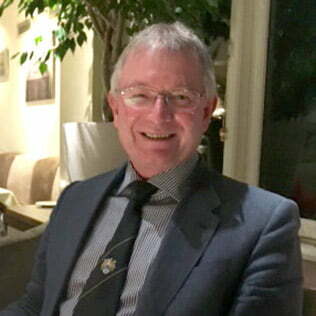 Jim Jacobs first joined the firm as a trainee in 1969 before returning full time in 1973 after qualification from the Royal Agricultural College. After a varied career at Godfrey-Payton including Senior Partner, Jim now deals exclusively with planning and development work. Jim specialises in taking strategic land through the planning system and negotiating Option and Promotion Agreements with national house builders and promotion companies. In recent years Jim has brought in the region of 2,000 plots to the market, with a further 5,000 plots currently in the system. Beyond the office, Jim’s principal interests are climbing, hill walking and playing golf. Andrew’s specialisms are planning and development consultancy, by adding value for land owners through the town and country planning process and ensuring that land owners secure the best development value for their land. Andrew’s specialisms include greenfield and brownfield sites, major employment and housing regeneration schemes and giving new life to listed buildings, and is well versed in the negotiation of promotion agreements, options, conditional contracts and joint ventures. As well as a busy family and social life, Andrew enjoys long distance walking, reclamation and customising and riding motorbikes. Mark is Godfrey-Payton’s Accountant and joined the firm in July 2014 to head up the Accounts department. His team manage all client accounting matters at the Firm. Mark formerly worked in the accountancy practices of Whitley Stimpson and Grant Thornton prior to a spell working in accounting roles in industry. Mark is a Fellow of the Association of Chartered Certified Accountants having qualified in 1997. Outside of work, Mark’s interests include National Hunt Racing, cricket, walking, music and gardening. Nick joined Godfrey-Payton in July 2014 having graduated from the Royal Agricultural College with an MSc in Rural Estate Management and is now working his way towards RICS and CAAV qualifications. Nick is based in the Warwick office where his role is varied, assisting the Partners in many areas of Estate Management including landlord and tenant, planning and basic payment applications. Nick was brought up on a family farm in Worcestershire where he can often be found working at weekends. Other interests lie in sport, principally American football and rugby. Nick was the Chairman of the Coventry and Warwickshire RICS Matrics for 17/18. Philip became a member of the Royal Institution of Chartered Surveyors in 1981 and was elected a Fellow in January 2000. His career began at The Redditch New Town Development Corporation, and in 1983 he joined a Locke and England in Leamington Spa undertaking private survey and valuation work and assisting with professional work for The Roman Catholic Church and other Church Charities. Philip joined Godfrey-Payton in 2010 and was made an Associate in January 2017. His responsibilities include private survey and valuation work for residential and commercial properties in Coventry, Warwickshire and South Leicestershire, and Asset Valuation work for Local Government and similar bodies requiring valuations for accounting and other purposes. Philip is a member of 41 Club, and a volunteer with Guide Dogs at Leamington Spa. He and his wife enjoy Theatre, walking and cycling preferably in the proximity of a hostelry providing good food. James joined the firm in 2012 as a trainee surveyor having graduated from Harper Adams University with a BSc (Hons) in Rural Enterprise and Land Management and qualified as a Member of the Royal Institution of Chartered Surveyors in 2015. James is based in the Coventry office covering all aspects of Rural Estate Management including Farm Business Management, Landlord and Tenant, Compensation Claims, Rural Planning and Woodland Management. James was brought up on the family farm in Warwickshire where he still spends a lot of his spare time. When not on the farm, James enjoys playing cricket and golf whilst also maintaining a passion for motorsport. In 2016 James competed in the Swiss Inferno downhill ski race for the Myton Hospice. James was the past Chairman for the Coventry and Warwickshire RICS Matrics. Originating from Yorkshire, Rebecca joined the firm in January 2016 having previously worked for a firm of Land Agents in Henley on Thames for three years upon graduating from Harper Adams University with a BSc (Hons) in Rural Enterprise and Land Management. Rebecca is based in the Coventry office covering all aspects of Rural Estate Management and general professional matters including sales and lettings of rural property and advising, preparing and submitting Basic Payment Scheme applications. Outside of work Rebecca is a keen tennis player who also enjoys shooting, horse riding and attending various race meetings. Further passions include cooking and photography. Will joined Godfrey Payton in 2018 having previously worked as an Assistant Agent on a Estate in Leicestershire for four years after graduating from Harper Adams University with a BSc (Hons) in Rural Enterprise and Land Management in 2014. Will is based in both Coventry and Warwick offices covering all aspects of Rural Estate Management and general professional matters, including landlord and tenant, compensation, planning, and valuation. Originating from Cornwall, Will enjoys sailing and anything to do with the coast. Will is also a keen squash player and enjoys shooting and working his labrador, Hector as well watching all sport especially his home rugby team, Exeter Chiefs. Harry joined Godfrey-Payton as a graduate in 2015, with an honours degree in Rural Land Management from the Royal Agricultural University, and is part of our estate management team in the Warwick office. Harry assists the Partners in a variety of professional work and is working towards full membership of the RICS and the CAAV. He is an all-round sportsman playing in local teams and also supports the church.